It is simple tool, dating back thousands of years. It consists of a wooden handle with a sharpened stone fixed to one end. While this axe is primitive in its origins, it is an ingenious design. By placing the sharpened stone at the end of long handle, early humans were able to increase the moment-of-force, allowing the stone to make a much deeper cut than if the stone were held in the hand directly. This made it great for cutting and bashing things. 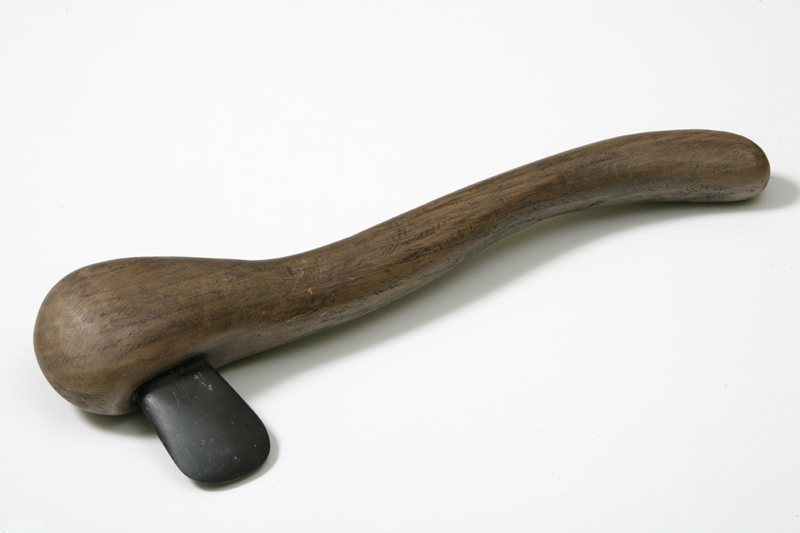 The stone axe provided early man with an invaluable tool. Useful as a both a building tool and a weapon, it helped catapult man into the most dominant life-form on the planet. This is also an axe. 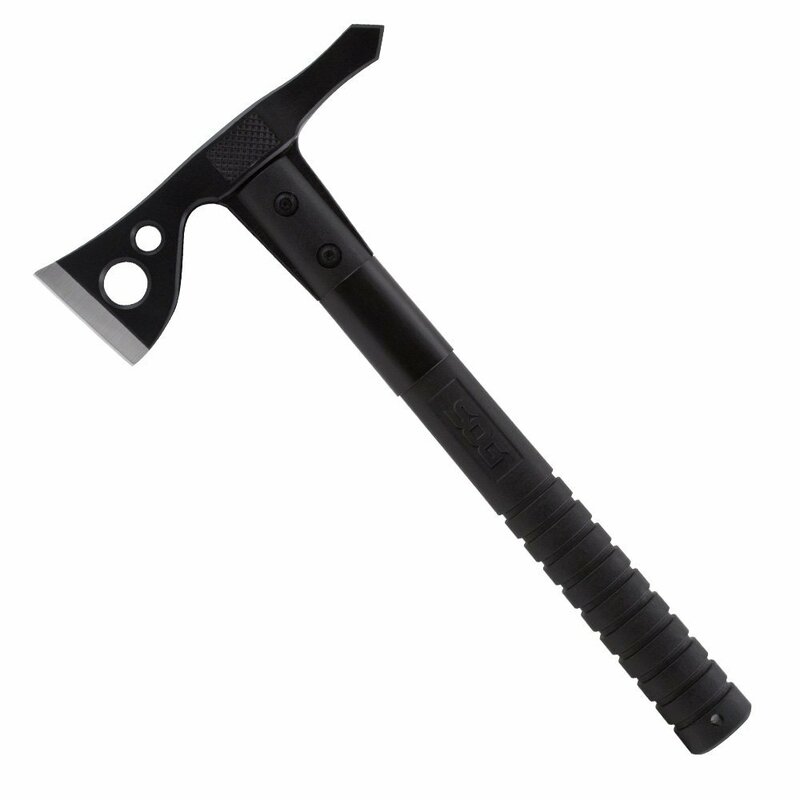 This SOG "Fast Hawk" tactical tomahawk utilizes a 420 stainless steel blade with high tech ballistic polymer handle. It is sharper, harder, lighter, better-balanced, and comes with a nylon sheath. It is better than the stone axe in every conceivable way. But it is still just an axe. It cuts and bashes things. Now imagine a wood-chopping contest between two people. Each is tasked with rendering a equal-sized log into firewood. One contestant gets the stone axe, the other gets the high-tech tomahawk. No contest, right? Imagine the tomahawk is given to a 75-year-old grandmother who just finished off a cup of sleepytime tea. The stone axe is given to a 28-year-old lumberjack who just finished off a six-pack of Red Bull. In this case, the tool being used is not nearly as important as the person using it. This uses a stone-age tool as an example. Surely things would be different using something more modern, right? Since my "day job" is in the medical field, allow me to wax poetic about one of the more dramatic devices I get to use: The defibrillator. That big white box you see above is the Physio-Control LifePak 300 defibrillator/monitor. This device is capable of monitoring heart rhythms and performing defibrillation, synchronized cardioversion, or transcutaneous pacing as needed. It is heavy, cumbersome, and utilizes a dim LCD display that is nearly impossible to read in direct sunlight. These machines proved popular with EMS agencies in the 90s due to their ruggedness and ease of use. I hated these damn things. LifePak 12... Better in every way. The LifePak 12 ended up replacing the venerable 300 in many EMS agencies. 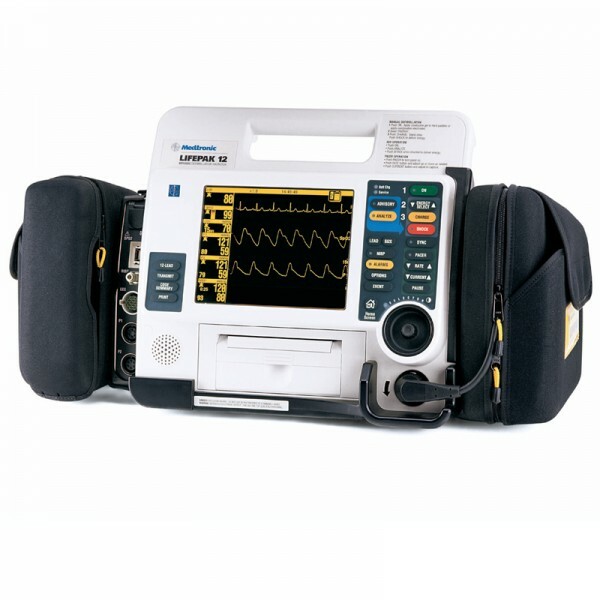 While still heavy and cumbersome, the LifePak 12 offered many advancements and improvements. 12-lead electrocardiograms (instead of 3-lead) were now possible in the prehospital setting, allowing improved diagnostics, treatments, and improved patient outcomes. 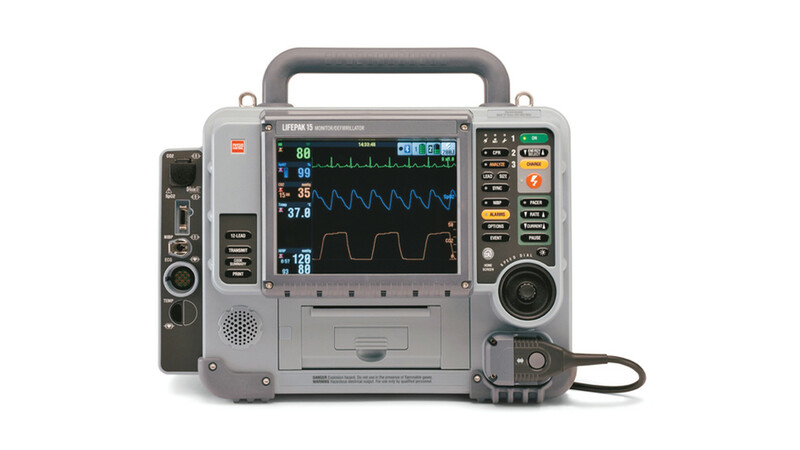 The LifePak 12 also offered a myriad of other options including capnography, pulse oximetry, and non-invasive blood pressure monitoring. Defibrillation was now done using "gentler" biphasic energy. Despite all of the extra bells and whistles, the Lifepak 12 did not have a particularly profound effect on cardiac arrest outcomes. In the out-of-hospital setting, the odds of surviving a sudden cardiac arrest was about 4%. Not only did fancy new defibrillators have little effect on cardiac arrest survival outcomes, but it was also found that more advanced techniques found in the Advanced Cardiac Life Support (ACLS) had little effect as well. Intubation and IV drugs like epinephrine, atropine, and lidocaine, seemed to be of little help. In fact, it was found that cardiac arrest survival rates were slightly better when treated with basic life support (BLS) techniques. After a review, it was surmised that the emphasis on advanced techniques was taking focus away the most important factor in cardiac arrest survival: High quality cardiopulmonary resuscitation (CPR). In 2005, the ACLS guidelines were re-written to focus more on the basics: High quality CPR and early defibrillation. Therapies like intubation were now considered "nice to have" rather than "need to have". Thanks to this change, cardiac arrest survival rates pretty much doubled, with over 8% of pre-hospital cardiac arrest patients surviving without severe neurological deficits. Training, not technology, resulted in the largest paradigm shift in the outcomes of cardiac arrest patients. Much like our example of the two axes, the determining factor in the end was not the tool being used, but the person using it. The two defibrillators you see above represent the "cutting edge" of the market. Both feature full color LCD screens, wi-fi and bluetooth connectivity, and lithium-ion batteries for longer life. More importantly for cardiac arrests, both devices utilize a feature that assist CPR performance. The LifePak 15 uses a metronome, while the Zoll uses a "Real CPR Help" feature that gives feedback on both speed and depth of CPR compressions. So, as someone who uses defibrillators on a regular basis; which device would I prefer? Both devices have their advantages as well as their faults. The LifePak is easier to use, as it uses dedicated controls as opposed to the Zoll's "soft keys". 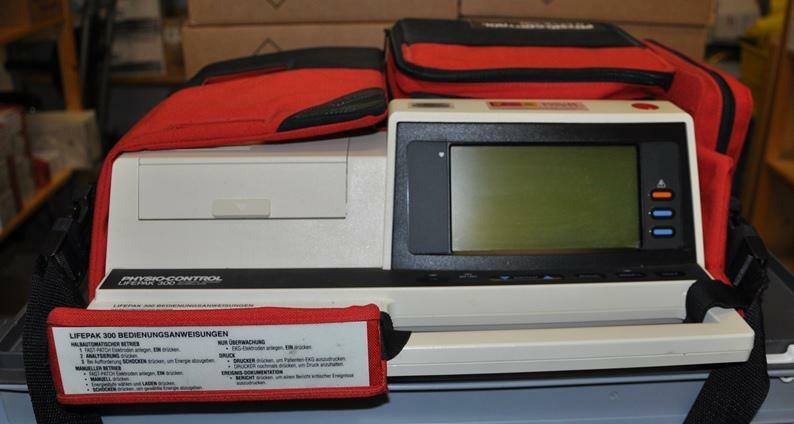 Its printer is front-and-center and uses larger paper, making ECGs easier to read. It is also more rugged. 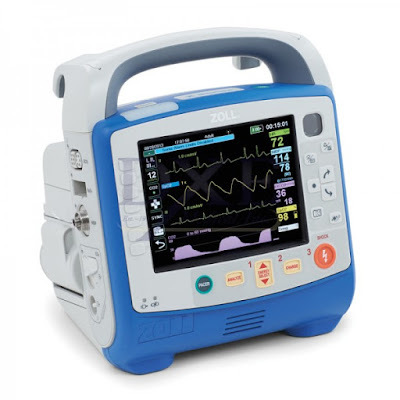 The Zoll, on the other hand, is smaller, lighter, and its "Real CPR Help" feature is more advanced than the LifePak's simple metronome. In the end, it does not really matter. Both devices work equally well at delivering an electrical shock to a patient's heart. Cardiac arrest outcome will have much more to do with the competence of the health provider than whatever equipment they are using. That competence can only be achieved through training, practice, and experience. If it was my loved one laying on the floor; I would prefer to have an experienced, well-trained paramedic using the venerable LifePak 300 than a newbie with a Zoll X-Series. Much like an axe or a defibrillator, a fighter jet is a tool. Whereas the ax chops stuff and the defibrillator shocks hearts, the fighter jet delivers ordinance unto an enemy combatant. Also like the axe and defibrillator, jet fighters have become more technologically advanced with time. While many (myself included) have extolled the virtues of one fighter platform over another, the most important factor is often the most ignored: The person using it. Like the lumberjack using an axe, or a paramedic using a defibrillator; a fighter's effectiveness has more to do with the crew behind it. An aircraft cannot fly without well-trained pilots, maintainers, and logistics personnel. Without these people and their skills, even the most advanced fighter cannot leave the ground. And like any other tool, it is the the competence of these people that make it work. 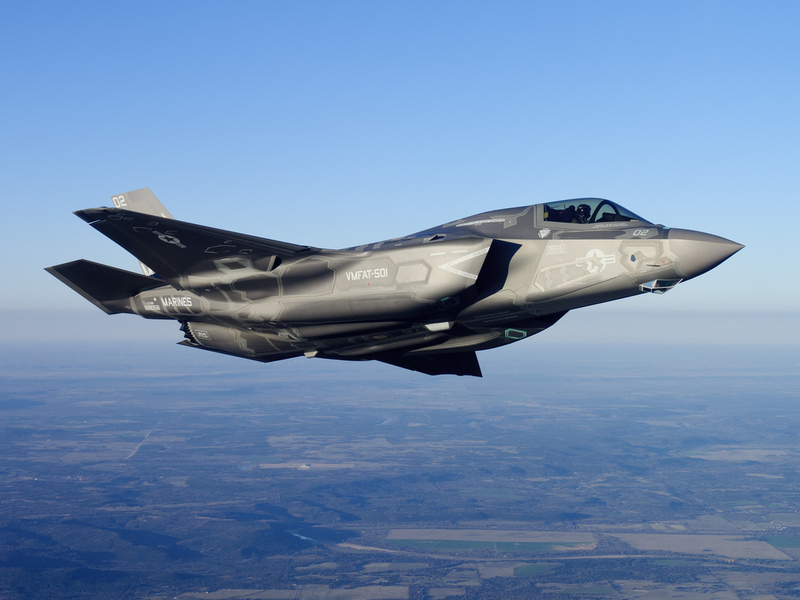 Purchasing a modern jet fighter is just the first step. These fighters are of little use if they end up being "hangar queens". These fighters need to be used, not necessarily out of anger, but to increase the competency of the crews behind them. The Best Fighter for Canada will depend not on the various fighter manufacturers, but the men and women of the RCAF. Whatever the Government of Canada ultimately decides to replace the CF-18 with, the more important decision will be what level of support is given in the long term. Emphasis must be placed on proper training time. Concentrate not on the machine, but the person behind it.